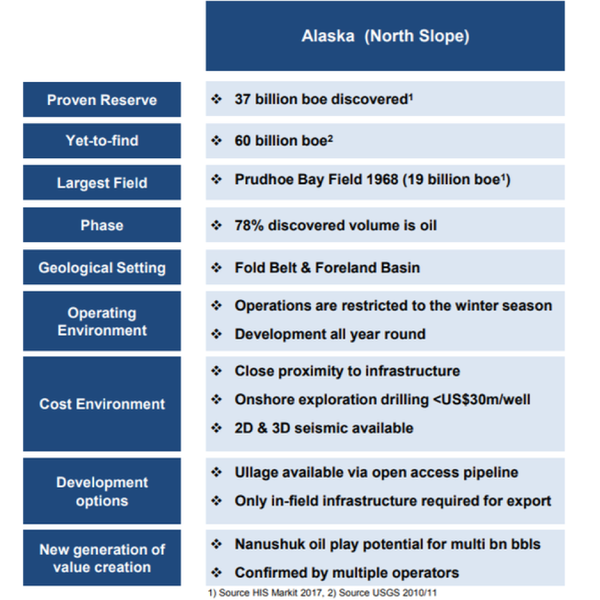 In one of the most anticipated drilling campaigns for any ASX-listed energy group — and definitely amongst our listed junior explorers — Red Emperor Resources (ASX:RMP) and its consortium partners are planning to drill the Winx-1 well on Alaska’s renowned North Slope in February next year. The company is targeting an estimated prospective resource of 400 million barrels of oil, and judging by the success of the majors that are in close proximity and along trend from the site where Winx-1 will be drilling, it's understandable why market commentators are upbeat about its prospects. Despite having produced over 17 billion barrels (Bbbls) of oil to date, an estimated 40Bbbls of undiscovered recoverable conventional oil still remains on the prolific North Slope, and the recent rush to gain territory in the region is being led by some of the world’s biggest energy companies. Importantly, this is a proven area of high-profile discoveries and prolifically producing projects, including Prudhoe Bay and Kuparuk River, which have produced 15 billion barrels of oil since 1977. However, it is recent discoveries made by the likes of Armstrong Oil and Gas, Repsol and ConocoPhillips (NYSE:COP) that have bolstered RMP's confidence. Joining the list of big names in the area is ASX-listed group, Oil Search (ASX:OSH), which only this year invested US$850 million in acquiring nearby acreage. Other major players in the area include BP (LON:BP) and ExxonMobil (NYSE:XOM). 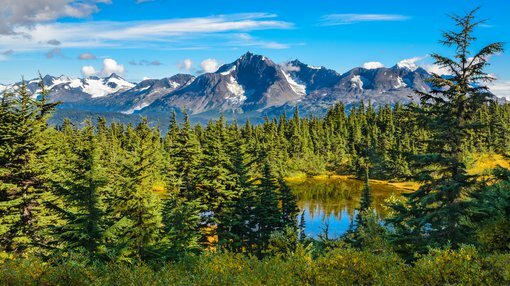 However, ConocoPhillips is Alaska’s largest oil producer, building on its previous success at Willow, having discovered up to 750 million barrels of oil equivalent during recent exploration. ConocoPhillips has also drilled three wells in between Pikka and Horseshoe, all of which were successful, resulting in the recent Narwhal discovery of 100-350MMBOE. Once again, all of this oil comes from the same, previously overlooked Nanushuk formation that RMP will be testing. The play being targeted is the Nanushuk oil fairway, which in its own right could be as big as three billion barrels, and a good portion of that oil lies immediately adjacent to RMP’s blocks. RMP is targeting the same sands and formation as recent discoveries less than 3 miles away. If you need to be reassured that the market is excited about what could unfold, take a look at the chart below, which demonstrates the strong outperformance by RMP (yellow line) against the Nymex crude price, which has come under intense pressure in recent weeks. Since early October, the S&P/ASX 200 Energy Index (ASX:XEJ) has fallen from its four year high of 12,667 points to slip below the psychologically important 10,000 point mark on Monday, as it hit a low of 9944 points — not far off the 12 month low of 9890 points. Companies with extremely large market capitalisations need to experience severe share price downside to trigger this type of event, yet the relatively small RMP has for the best part remained resilient. As you can see, RMP broke clear of the Nymex trendline in July/August when the company announced that it was part of a consortium that had acquired highly prospective territory on the North Slope. While the spike at that stage, along with the high-volume share trading when the announcement was made, demonstrates the significant value that was attributed to the company by virtue of this transaction, the recent activity is just as important. As RMP has been ticking the pre-drilling boxes and moving closer to the drilling date, it has substantially widened the gap between it and the Nymex price. This would be an impressive performance for any company in a sector that is being extensively sold off, but for a smaller player, it is outstanding — it's the micro-caps that normally come under the most pressure when negative sentiment sets in. 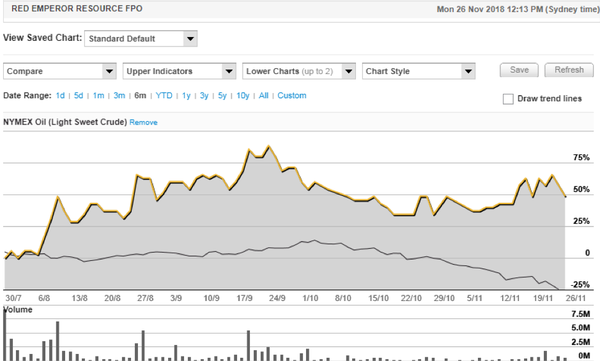 Given RMP’s modest market capitalisation of $23 million, the potential value of its share of a 400 MMBO well implies substantial share price upside, suggesting that regardless of which way the Nymex trends, the gap between the trendline and RMP’s share price may well widen further. What is it about Nanushuk? Led by Bill Armstrong, Armstrong Oil and Gas, discovered approximately 750 million barrels of oil on the North Slope between 2001 and 2005. However, it wasn’t until 2009 that the group returned to that area under the assumption that huge amounts of undiscovered oil could still be harnessed from the region. Between 2011 and 2016, the Armstrong-Repsol JV drilled 19 wells for 19 successful discoveries — an incredible success rate by any measure. The host Nanushuk sands are shallow, regular rock with good porosity and permeability, and the oil is of premium quality, being high gravity, sweet oil with no gas. The stratigraphic traps Armstrong has explored show the same seismic anomalies that RMP sees on its blocks. This area is now known as the Pikka Unit and most likely contains over 500 mmbbls alone. However, the most significant development in terms of RMP’s pursuits was the decision by Armstrong-Repsol to step-out some 21 miles to the south and drill the Horseshoe well. This didn’t just prove there was oil in the ground; it also demonstrated that there was a large trend of high-volume, high-quality and relatively easily accessible oil just there for the taking. We mentioned the resource's relatively easy accessibility earlier — on this note, it is important to highlight that Winx-1 will only cost US$15 million, US$5.25 million of which is attributable to RMP. Depending on how one chooses to value a discovered barrel of shallow, conventional, light oil that is close to infrastructure and development, it could potentially be worth $5-10 a barrel to RMP. Crunch those numbers and you will see that one well could produce a potent cash injection for RMP, which embarked on this campaign with cash of $8 million — not a bad position to be in, given the company's modest market cap. ConocoPhillips has demonstrated the economic viability of exploring for oil in the region. Importantly, it's a company that has a long history of being very selective regarding its targets, placing a strong focus on investing in low cost of supply opportunities. The group captured a net resource of 2 billion barrels of oil equivalent at less than US$40 per barrel cost of supply resource in its legacy assets. 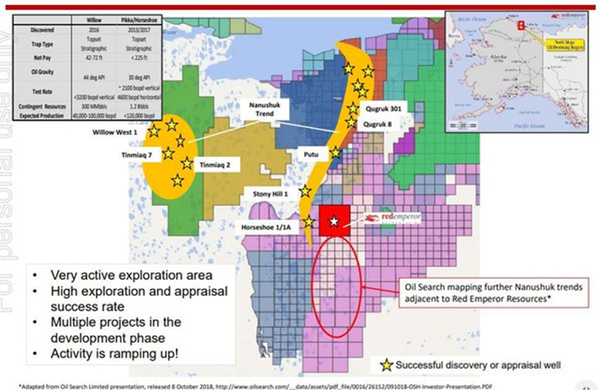 Even setting aside the prospective upside from Winx-1, there will be intense activity in the region in the months to come, and the more success that ConocoPhillips and other multinationals in the area have, the better it will be for RMP. Further exploration success will serve to bump up the price of acreage in that area, effectively increasing RMP’s underlying asset value. However, the opportunities to snare new ground in this proven area are drying up, so don’t be surprised if there is some corporate activity with the larger players looking to expand their acreage positions through acquisitions, a scenario that could result in a windfall for RMP and its consortium partners.